The water animal exhibits include a walk through shark aquarium where you walk through an underwater tunnel and see species of sharks from around the world. In the Atoll Reef aquarium area, there are perhaps 2,000 fish of scores of species in an aquarium four stories tall. The stars of the underwater displays were rare giant Chinese sturgeons that were sent by the government of China. But several died, and the remaining two were sick and were sent back to China in 2009. It is estimated that there are only about 1,000 Chinese sturgeons left. The land animal exhibits include aviaries, the Amazing Birds Show, and the Amazing Asian Animals Exhibit. In the Amazing Asian Animals Exhibit, you can find rare and interesting land animals. There are currently four pandas that are almost extinct in the wild. These animals are probably China's favorite, and mainland Chinese visit to see them. They are named An An, Jia Jia, Ying Ying, and Le Le. There may also be "small pandas", also called red pandas, when you arrive. These smaller animals are even more interesting than pandas in my opinion because they look like large, unusually long house cats. But their coloring and way of moving is extraordinary and non-catlike. I was amazed when I saw some. Most people don't know that this type of animal exists. They are not feline animals. Like pandas, they seem to sleep a lot. There are about 20 amusement rides. 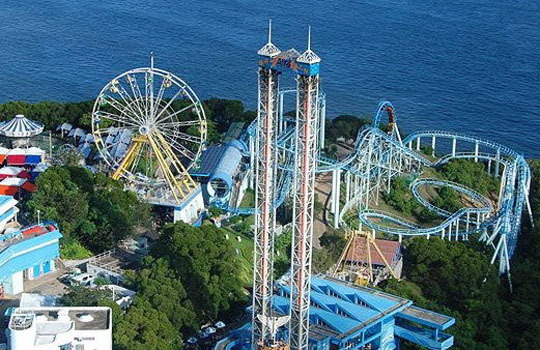 The rides includes a large Ferris wheel, two roller coasters including The Dragon that reaches a top speed of 77 kilometers an hour, a water ride, and a free fall drop deck called The Abyss that that is a tall steel girder tower 20 stories high that has two cabins that drop down to the ground in about 5 seconds. The newer rides are being built to attract young people looking for thrills. In order to get around in the park and see the views, there are also transportation rides including Ocean Express, a tram system, and the world's second longest outdoor escalator that transports people in the area. 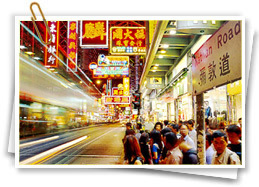 It is expected that there will be an MTR route to the park. 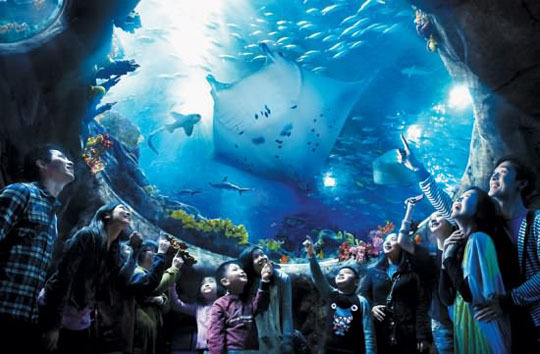 Also read the most popular aquariums and ocean parks in China. Near Wong Chuk Hang in the Southern District on Hong Kong Island. 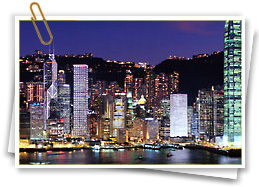 It is on the other side of Victoria Peak from the main Hong Kong city urban area. Fun new modern rides including the new The Dragon roller coaster and the The Abyss. World class facilities including a panda exhibit, transportation systems, the huge four storey aquarium and the walk-through shark aquarium. It is a non-profit facility so ticket prices are moderate. The elderly and disabled can enter for free. Not as commercialized as other large theme parks, so there is less high-pressure sales tactics. 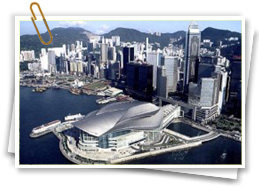 Besides being an amusement park, Ocean Park Hong Kong also operates well developed laboratories for research, has an education department and operates funds for wildlife preservation and research. The park has good restaurants and shops for souvenirs. Ride in the amusement rides. 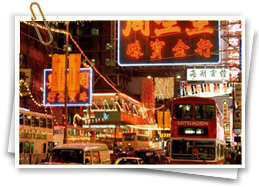 Best Time to Visit: Hong Kong is still fairly warm and is drier in October and November. Hours: 10 am - 6 pm; 10 am – 11 pm in the summers. Ticket prices keep changing and are increasing. But tickets cost about 27 USD for adults and 14 USD for children. 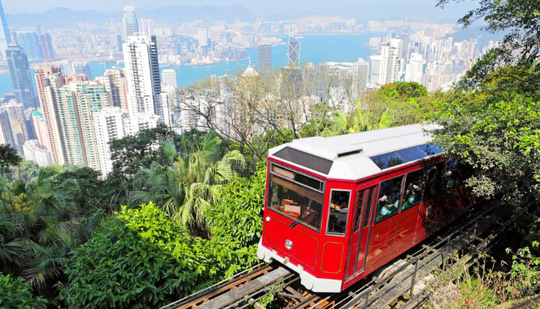 In Park Transport: Between the Summit and the Waterfront sections, you can take the Ocean Express rail system or the cable car. The cable car gives you good views of the ocean and area, and the Ocean Express has interesting underwater excitement. To get around on the Summit area, you can take the world's second longest outdoor escalator. Transportation: Bus 629 from MTR Admiralty Station Exit B.
Octopus Card: Hong Kong is fairly unique in the world because you can purchase cards that you can swipe to pay for MTR and bus fare, and it can be used to pay for many other things as well such as purchases at supermarkets, convenience stores and restaurants. The card allows people to travel without standing in line to buy tickets. Card holders simply swipe their cards and their fares are deducted electronically. You can buy these at the MTR station ticket windows. The city and territory of 7 million has another zoo, a large aviary (bird zoo), two other large amusement parks, and lots of natural areas for hiking and swimming. 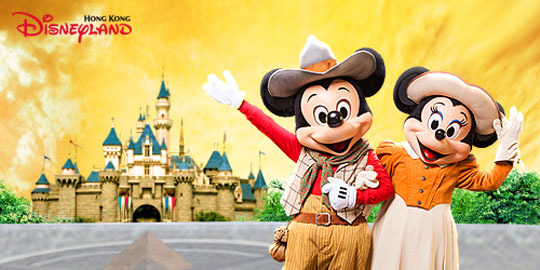 Though Ocean Park is Hong Kong's favorite amusement park, Hong Kong Disneyland that was opened in 2005 is the biggest with about 300 acres of land and ambitious development plans. 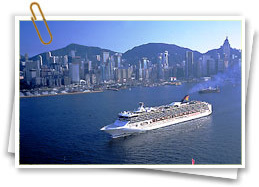 It is located on Lantau Island and is near Hong Kong's airport. Lantau Island itself is an interesting place to visit if you want to go hiking on long trails through natural surroundings. You can climb the small mountains, stay in the hotels or hostels, eat in the restaurants and hike along the seashore and on the beaches. The hiking paths are not crowded. You can go there via ferry from Central Pier. About 40% of Hong Kong is protected in 23 parks, including three marine parks and one marine reserve. Hiking trails, waterfalls, clean swimming spots, places to fish, lakes, rivers and some of Asia's best beaches are within walking distance from the modern rapid transit train stations or a public bus station, and they are often empty or have few visitors each day. Some of Asia's best beaches and natural ocean areas are empty, but easily accessible. The 10 tallest mountain peaks all have hiking trails. Books and trail guides are easy to find in book stores and information kiosks. The Hong Kong Zoological and Botanical Gardens is the largest zoo and is also a botanical garden, and it is easily accessible right above Central District on the other side of Hong Kong Island from Ocean Park. Admission is free. Right by the Zoological and Botanical Gardens is Hong Kong Parkwith one of the world's largest walk-through aviaries where you walk through a very large cage filled with many species of birds flying around and perched. It is a public park where there is also a large plant conservatory, museums and interesting exhibits and recreational facilities. Admission to almost everything except the squash courts and restaurants is free. Noah's Ark is Hong Kong's newest theme park. It was opened in May of 2009 and contains a huge replica of Noah's ark that is 137 meters long. It contains an exhibit of Hong Kong's biggest meteorite, a rope obstacle course, full scale mock-ups of large animals, large screen theaters, restaurants and a hotel.